LinkedIn users, has this ever happened to you? How do I retract a LinkedIn Invite? 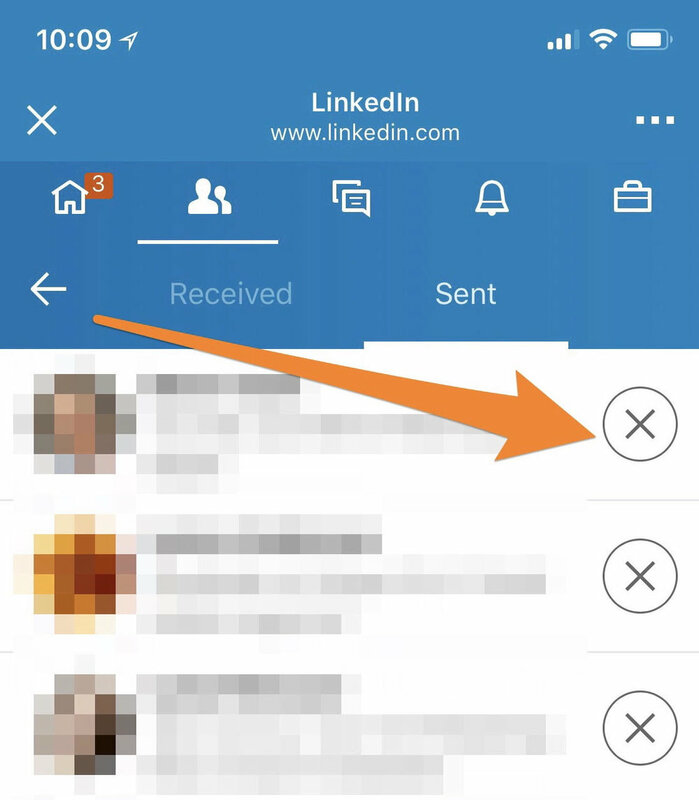 I’ve written here before about how important it is to send a personal note when you send a connection request on LinkedIn. Sometimes we accidentally hit button to connect too quickly before being able to send the note. “Doh!” We exclaim as the default connection request is sent with no way to stop it. This happened to me recently and I discovered a solution. Once there you can see all of the invitations you have sent. Note the “Withdraw” button to the right. It’s a little different on mobile. Click the same link above and press the X next to the profile request to withdraw your invitiation. Note: Withdrawing an invitation will stop the recipient from receiving any further reminder emails to accept the invitation. The member you invited won't get notified that you canceled the invite. LinkedIn mentions that after withdrawing an invitation, you won’t be able to resend an invite to the same recipient for up to three weeks. I didn’t experience this, I was able to resend the invite right away. Your results may vary.